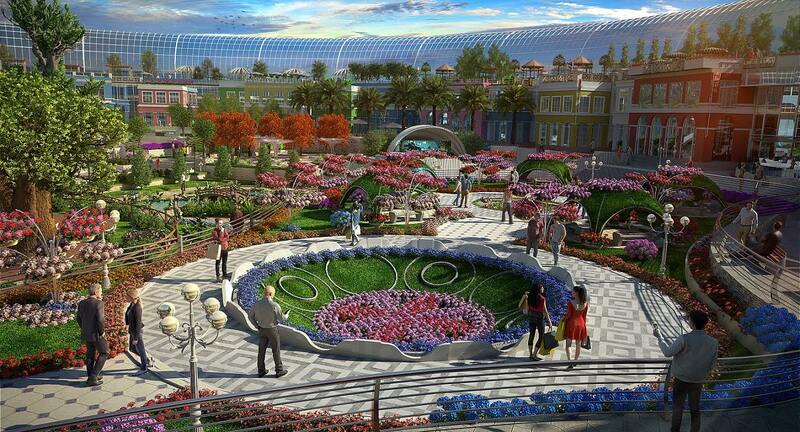 Dubai, United Arab Emirates: Cityland Group, inventors of the acclaimed Dubai Miracle Garden and Dubai Butterfly Garden, officially announced their plans for the new, nature-inspired Cityland Mall. Scheduled for launch in Q2 of 2018 with a connected access to Global Village, the single-level shopping complex will have 1.13 million sq.ft. of leasable space with a colossal green reserve at the mall’s core. The well-rounded shopping ‘destination’ pioneers a new trend in family entertainment where superior retail experience meets ecological preservation, sustainable design, and interaction with nature. Cityland Mall expects an annual footfall of up to 12 million visitors and will tap into the year-on-year rising tourist visits to the city. The expansive, 200,000 sq.ft. open-air garden, labelled ‘Central Park’, will be a breathing testament to nature’s rich biodiversity showcased through unique attractions, such as: mini version of the famed Miracle Garden, a mini water park, 300-year old ancient tree garden, Japanese garden, 360-degree rooftop garden, and a cluster of restaurants and al fresco cafés overlooking its scenic beauty. A 3,000-seat amphitheater and a miniature amphitheater for children will provide a dynamic platform for performing arts throughout the year, and foster a culture of community and learning amongst children in an inspired atmosphere. A walking track along this open-air garden will position Cityland Mall as a one-of-its-kind destination where retail satisfaction seamlessly blends with health and wellness. Cityland Mall’s unique interior will consist of six thematic pavilions; each displaying a distinct global culture and design style that represents the cultural diversity and eclecticism in the United Arab Emirates – a home to people of various nationalities. The 1.13 million sq.ft. retail area will be dedicated to trendy home furnishing stores, electronic outlets, cosmetic shops as well as personal and banking services – present through more than 350 retail stores. The largest share of retail space will reside with popular fashion outlets, covering 48 percent of the total leasable area. Twenty seven percent of mall space is assigned for a wide variety of retail and service outlets and 10 percent for entertainment spots. With 15 percent dedicated to restaurants and cafés, the share occupied by a mall’s F&B offerings is the largest in the region. A hypermarket will fill 100,000 sq.ft. of space – the largest in Dubailand area. In a bid to satisfy a diverse palates, the mall will serve up more than 75 global dining options through renowned international and regional restaurants and cafés. A dining area enveloped by an arch structure with wooden interiors will form the outer-perimeter of the botanical garden, giving way to a memorable experience with many restaurants getting uninterrupted view of the mall’s botanical wonders. Fourteen to 16 cinema screens, including a dedicated kid’s screen, will play the latest movies at the box office and incorporate the latest film technologies such as the 4DX format. The mall will overcome common hindrances faced by shoppers at the onset with shaded parking space for over 6,000 cars and multiple entry and exit points. Part of Cityland Group’s vision for the future is constructing three hotels of three to four star variants surrounding the mall property. 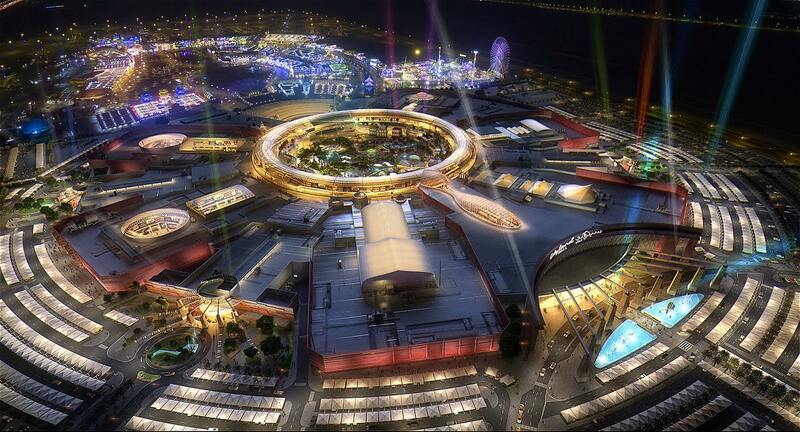 It is also drawing up plans to replicate the mall concept in Abu Dhabi and Al Ain after the much-awaited inauguration in Dubai.